With wedding season in full swing (yet again), Nic and I realized that we have never really addressed our personal thoughts on WED-iquette. 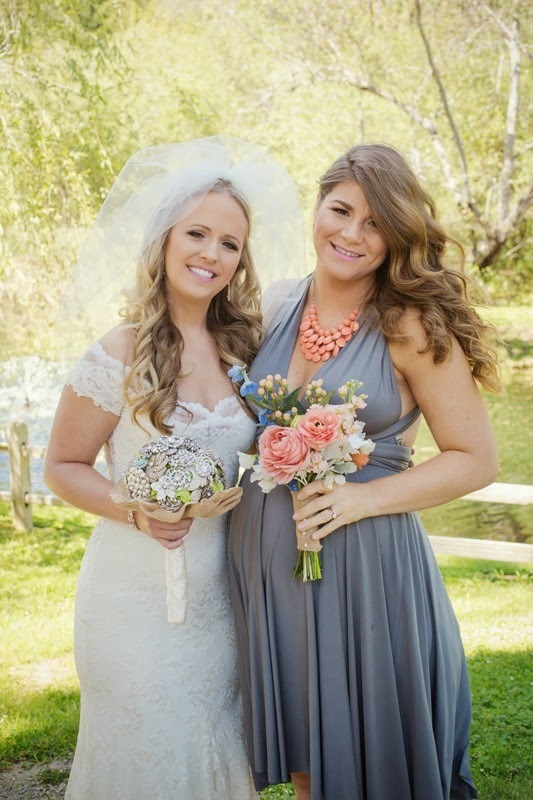 We have been both been brides (which is a whole different kind of etiquette, so if you need help there, Ask Carley from The Knot or even Emily Post) honored as bridesmaids, Maid/Matron of Honors and guests at more weddings than we can count between the two of us. While we love nothing more than a good wedding, they can quickly become time consuming and expensive. With the engagement parties, showers, bachelorette/bachelor parties then the weddings themselves, you sometimes have to get picky. I mean having seven or more weddings per season can be slightly overwhelming! 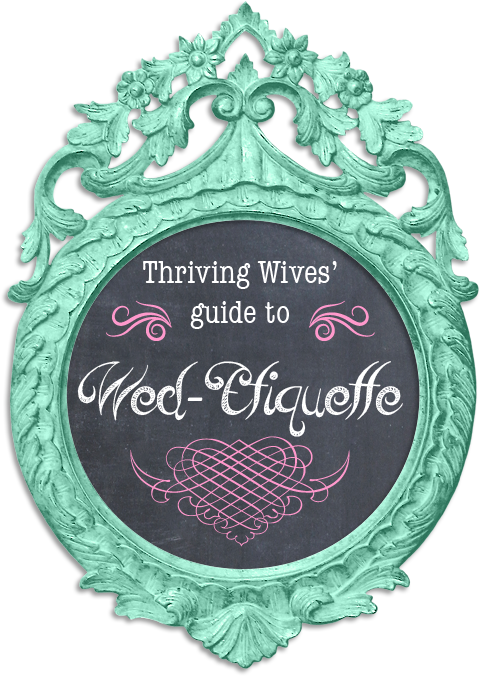 But, no fear the Thriving Wives are here; let's talk WED-iquette for being a guest and being included in the main event as a member of the bridal party. RSVP. The date on that bad boy is there for a reason. As soon as you get the Save the Date, check out your calendar and try to anticipate if you are going to be able to attend. Of course, things change, but at least make a plan. When the invite comes in the mail, do your best to return the RSVP ASAP. Em recently fell behind on this important tip due to trying to determine if she would be in labor or not, but it is still no excuse. She contacted the bride for her input on how to proceed...communication is key! Gather your information. Once you have decided you are going to attend the event, get informed. Will you need to stay in a hotel? When is the window to take advantage of the room block? What is the time of the event so you can plan what you (and your TH if you are Em) need to wear? Does it have specific dress code guidelines? Dress the part. Once you have your information, make sure you look good. If the event is black tie, do not wear a booty short dress or dress pants sans jacket. Use the information gathered (month, time, venue, theme) and wear something appropriate. For example, if the wedding is in the middle of the summer, at 3pm and outside, then it is totally appropriate to wear a light summer dress, wedges, maybe sassing it up a bit with some "statement" accessories and perhaps a cute updo to keep your neck cool. If the wedding is more formal, then obviously, don't wear that! Be on time. If you are taking a shuttle, be on time to get picked up. If you are driving, leave with enough time to account for traffic, getting lost and parking. Make sure you make arrangements (from your house, hotel or even local bar if grabbing a drink with friends before) to get there on time. Do not be those people that can't get seated since the wedding is starting in mere seconds. Give. People create a registry for a reason; they want you to buy them what they want. Even if you don't have a lot to spend, you can usually buy something on the registry to fit your budget. Granted, with so many events prior to the wedding, it may be slim pickins', so either act early or plan to go in with another couple and get a more expensive gift. Even if you go with some items off the registry , or go rogue as Em often likes to do (she is more of an Anthropologie lover herself and feels everyone should register there for some things as she did), give. Heck, if you want, throw a check in a nice card and call it a day. But celebrate the couple and shower them with a gift as they felt you were special enough to be included on their special day. Have fun! Who doesn't love a good party? We do! What better way to celebrate the happy couple than being the guest that is having a blast. Getting dressed up, being with friends, a lovely dinner out and dancing?! For these TW, we are all about it. So, enjoy the night away from home/little ones and have fun! Be supportive. What we mean by that is keep your opinions to a minimum unless specifically asked for from the bride. Even then, keep them positive and open. She wants you to wear a brown paper bag with a hat made out of aluminum cans? "TOTALLY!!!" There is nothing more helpful for a bride than having a flexible BM who is willing to do anything and everything asked of her. Remember, this is not your day. Schedule ahead. Do whatever you need to do to be there for the bride. 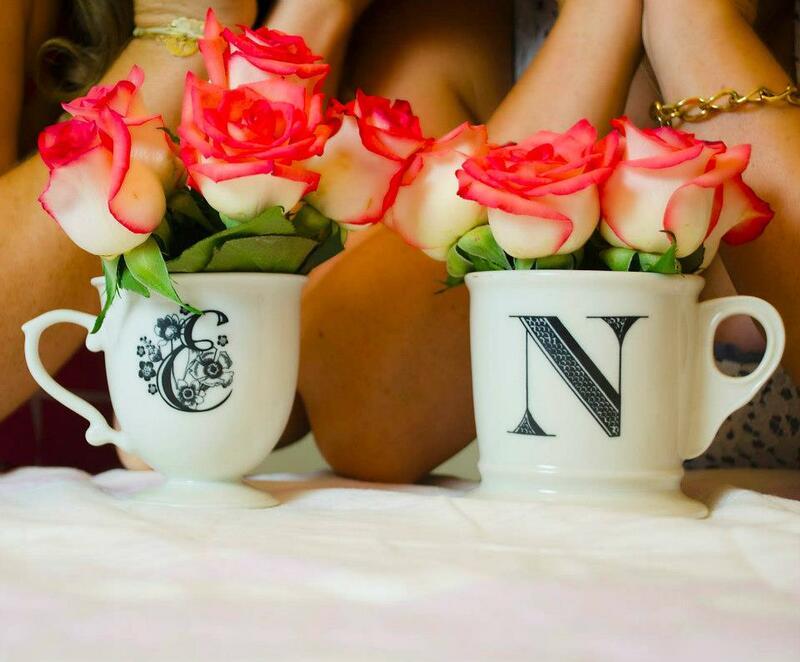 You have been given a great honor, and being asked to be included in a bridal party is to us, a very big deal. So, you need to make it work. Get the all event dates ahead of time and make plans to be in attendance at all of them, unless for some reason you absolutely can't If for some reason you can't (prior engagement on the calendar, family gathering that is a must) then tell the bride early and communicate so she is well aware and is not surprised last minute. Plan financially. Weddings are expensive, especially when you factor in all the prior events, travel, accommodations and gifts. So, as soon as the bride in turn pops her own question to you, start saving. Even if that means just tucking away $20-$50 a week/month or re-evaluating what you were already planning on doing, being a bridesmaid is not cheap. So, start planning right away so that you don't stress yourself out and in turn stress out your beautiful bride. Pump it up. There is nothing worse than a super excited bride who comes to meet her bridal crew and ----------------- flat line. Can't have that. Where are my screams? Where are my cheers? Where are my SHOTS?! Let's get any party that the bride is at be THE party and do all you can to pump it up. Granted, this is second nature for Em and requires a little work for Nic, but where there is a will, there is a way. So, get uncomfortable, put on those party pants and pump it up! Be available. Whether a quick text, a sob session or jamming to the boutique to take a look at the latest dress choice; be available. If you haven't yet had the joy/stressful experience of being a bride, know that sometimes you just need someone to talk to. No one better than one of your bridesmaids. So, be ready to drop everything to listen, comfort or shop. One day it too will be your turn and you will want the same for yourself! Have fun! Make the day even more memorable by being ready bright and early for a day of beauty. Have a huge smile on, get the champagne flowing, tunes a beatin' and have a blast! The bride will surely never forget what a wonderful addition you were to her bridal party and will appreciate all you have done more than you know. Once the main even starts, enjoy every second of it! 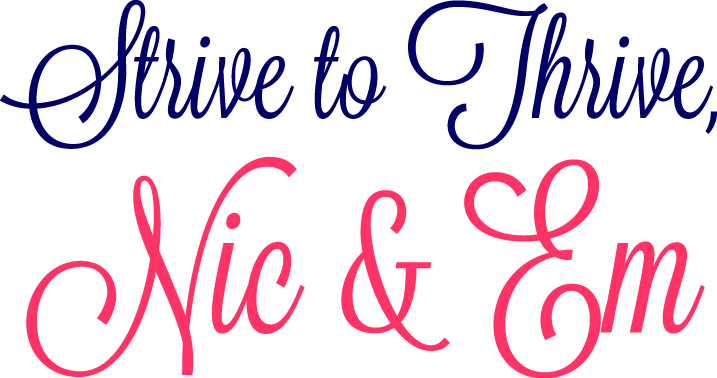 Hoping you enjoy wedding season as much as we do and find our tips to thrive helpful. What are some WED-iquette tips you find useful?